For all the enjoyment I got out of John Dies at the End, I couldn’t shake the feeling that it didn’t work as a novel. There were three very different episodes held together by a reporter framing device and the presence of a mysterious drug with inter-dimensional properties. It was funny, but the novel killed its momentum each time the story shifted to something completely different. I am happy to report that This Book is Full of Spiders, David Wong’s sequel to John Dies at the End, is unquestionably a novel. The clear three act structure exists, but it actually serves the telling of a single story. It’s funny, disturbing, and clever without any cohesion problems. I picked up this horribly cheesy novel at the used bookstore for $1. It’s not worth even that probably. I actually forgot I even read this until I was looking through my Goodreadsaccount (add me!) and realized I never wrote my CBR review for it. It was a pretty forgettable novel, so forgive me if this review is somewhat vague. The plot follows a school teacher who gets a really good paying job to teach a set of conjoined twins. The twins (named Alpha and Beta…seriously) are locked up in a lab and have never been outside their small apartment in there. They’re pretty much treated like lab rats. I read this short-story collection around Halloween, in order to get into the spirit of the holiday. I’m really just not the biggest fan of the short story. I like to get into a long novel and watch character development. Most of these were horror stories, but a few definitely weren’t. Pop Art – A boy makes friends with a balloon boy. It sounds weird, but it’s actually very touching. 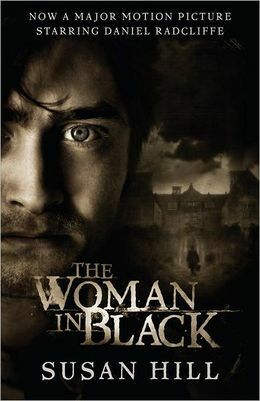 The Black Phone – A boy is kidnapped by a serial killer and locked in a basement that has a mysterious black phone. Even though it is disconnected, it sometimes rings. The Cape – Takes the idea of a little boy playing superhero with his favorite blanket and gives it a sinister twist. Voluntary Committal – The longest of the stories, it was very original and unsettling. All in all these stories were good. I think that I just prefer to read one story a day so I have time to digest it, rather than reading several of them back-to-back. I can’t believe I’m already on book 40 for this year! I’m on much better track than last year when I had to read about 10 books in December to get caught up. 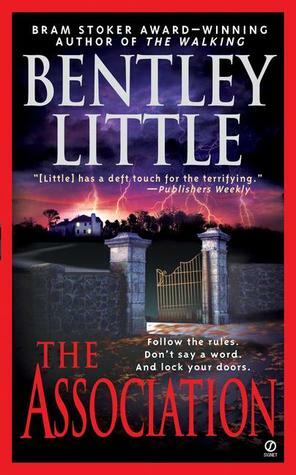 So, The Association is a schlocky little horror novel. I was actually surprised to see that it was published in 2001 because it just screams of cheesy 80’s horror. I’ve read one or two of Bentley Little’s books before, so luckily I wasn’t expecting a masterpiece. Read the rest of the review at my blog. I first read this book back in college. I know now it’s getting a little more press due to the Hunger Games comparisons. 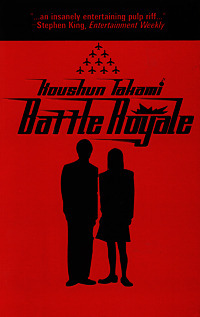 I actually first picked up Hunger Games the week it was released back in 2008 because I read that it was similar toBattle Royale. They do share a lot of similarities, but enough differences to make them totally different novels. For instance, both novels take groups of teens and pit them against each other to the death. However, The Hunger Games picks a boy and a girl from each district. Battle Royale randomly picks a ninth grade class who has no idea they were chosen until they’re already there. They pretend they’re taking them on a school trip then gas them on the bus. I think it’s a little more chilling that ALL of these students actually know each other and grew up together vs. HG’s involving mostly strangers. Read the rest of the review in my blog.